What Is The Smallest Gold Buy I Can Make? HomeHow to BuyWhat Is The Smallest Gold Buy I Can Make? Purchasing gold can be an expensive investment, and some people that are interested in getting started look for ways to lower the buy-in. When dealing with a gold exchange, knowing what the smallest gold buy you can make is important for determining your investment amount. Since the early 1970s, gold spot prices have been on a steady climb. Gold that cost $37 per ounce in 1970 is over $1,100 per ounce in 2010. 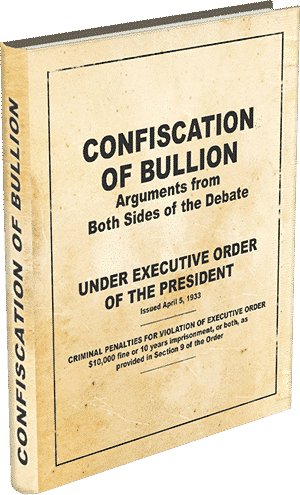 During these forty years, the value of the United States dollar has actually fallen, meaning that spending on gold is becoming more costly. A 200 ounce purchase of gold in 1970 would have only cost around $7,400, while the same purchase today would cost nearly $230,000, well more than the vast majority of people even make in a year. Minimum gold purchases from an exchange vary depending on the company involved. Most reputable exchanges have minimum order amounts that can range from 10 to 20 ounces. These companies are generally very straightforward with their pricing, and they have a professional process to make purchasing coins very simple. Some Internet-based companies claim to offer no minimum limit purchases, but they frequently charge higher fees for purchase commissions, shipping and sales commissions. In addition, many of these companies do not disclose the details of shopping with them, meaning that potential clients are forced to call the company and attempt to get full information. 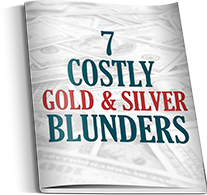 Generally speaking, a gold investor is wise to do some comparison shopping prior to making a gold purchase. 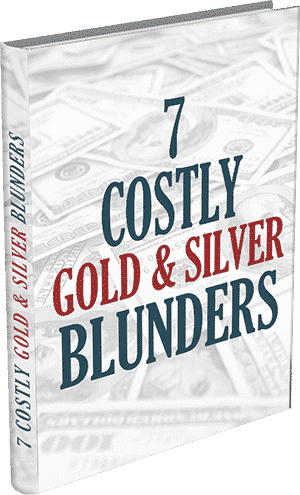 While the smallest gold buy possible may be desirable, the results of the purchase may not be so desirable if the exchange adds on extra charges and misrepresents its services. Yes, David, everything was correct. You and Certified Gold Exchange provided very excellent service - Thanks. My prayers were literally answered when I found CGE. They helped me set up a diversification strategy with gold and silver and now I know my family and I will be protected from the coming collapse. 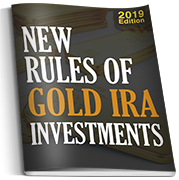 I sleep well with gold & silver in my IRA. I feel very lucky for having chosen CGE to do my gold IRA! We invested in silver for the first time with Kim Cross a few years ago. She got us out of bad situation with another broker and we haven't looked back since. God bless David White and your fine IRA team; life really is about service to mankind. I would highly recommend CGE for a gold Roth IRA like mine. My custodian referred me to you folks and it has gone much better than I could have imagined. Having Joseph’s help with my IRA has been a godsend. CGE - You're good people. My first buy was in 2005 with Joseph Morton who recommended American eagle proof coins. Today, December 12, my account is up to $685,000 from the $280,000 I started with. Your IRA team are good people! A self-directed IRA with CGE is the way to go. My experience with the Certified Gold Exchange has been great. Pat Collins is a real straight-shooter. With the complete lack of leadership in this nation, I trust CGE to keep me safe. IRA transfer specialist Pat Collins is super helpful! Glad I found the Certified Gold Exchange. I never knew moving my 401k into real gold could be so easy. I would recommend Rusty Manor and the Certified Gold Exchange any day of the week. I started the transfer process with a California company but then I found out CGE had a much better reputation so I switched midstream. The process went 1000% smother after the switch. David Michael White is the best retirement professional I have ever used. Very helpful in saving me money. Transferred my wife’s 260k IRA using Certified Gold Exchange with no surprises. CGE has the best retirement team in the country! I had two previous employer 401k accounts and two IRAs and Joseph Morton was very helpful converting all 4 accounts to 1 self-directed IRA. Thanks Joe! 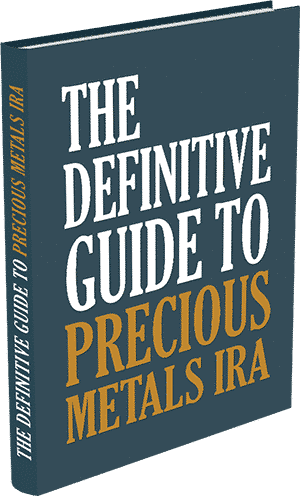 I don’t trust the government so the home delivery precious metals IRA was perfect for me. I was so confused by all the companies I spoke with, but after reading Real Money Magazine, I knew CGE was the company I wanted to work for me. After talking to a few high-pressure salesmen, finding certified Gold Exchange was practically a miracle. Non-commissioned reps, low prices and free delivery…what more can you ask for? Thanks David Michael White and all of the CGE staff for making my first venture into the gold market easy as pie! David Michael White is very conscientious and great to work with. David Michael White was very informative but not pushy in any way. Delivery and services exceeded what we were promised. We would recommend this firm. Kim Cross has been very helpful and it's a pleasure to do business with her and CGE. I appreciate Michael White's attention and unbiased information as I entered the gold market for the first time and had a LOT of questions. I’ve been investing with your business for over 10 years and never have I had a single issue. All my gold arrives fully insured and in perfect condition. Thanks! I never thought gold investing would be so easy. On Monday I called your firm, and by Thursday I had 3 boxes of gold delivered right to my door. Cheers! I used to be a huge real estate investor back in the day until the market tumbled. Now I’m sitting pretty with certified gold coins and I couldn’t be happier. David Michael White is a true gentleman. He walked me every step of the way to a successful gold investment despite my disabilities. Thank you. Thank you all for the genuine support. With your help I have been able to preserve the wealth in my IRA and profit better than any stock ever dreamed of. I’ve been investing in gold for over 20 years and never have I dealt with a company like yours. Thank you Michael White and Kim Cross for all the great help! When I first did business with you, I was a little skeptical. Nearly 10 years later, I now know that there is nobody in the industry that does it better than you. After my wife passed away, my investments, along with my life fell apart. David Michael White helped me get everything back together. Thank you so much. Michael White and Kim Cross have made my gold investments as easy as pie. Now I’m fully invested in the gold market with over 400% profit since 2004! 100% of our website is encrypted and we never share your info!